The two halves on the Connecting Link snap together for permanent closure. 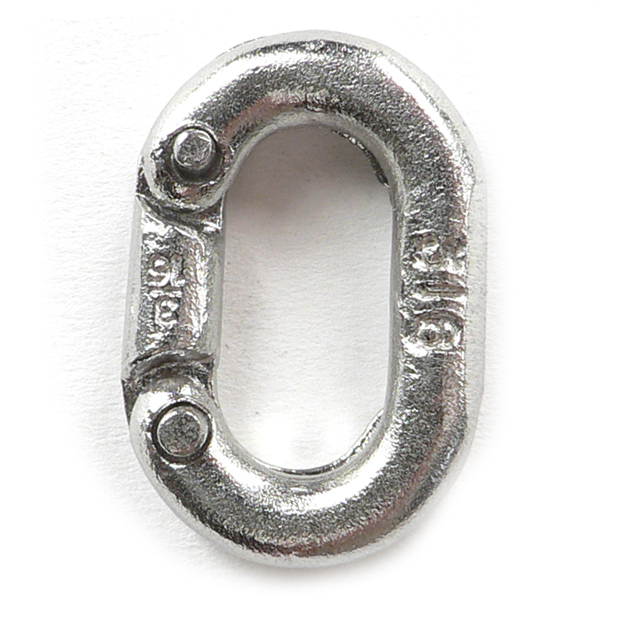 Snap on the ends of two lengths of chain (or a loop) for secure connection. Please use common sense and do not use without the riveting pins securely in place. 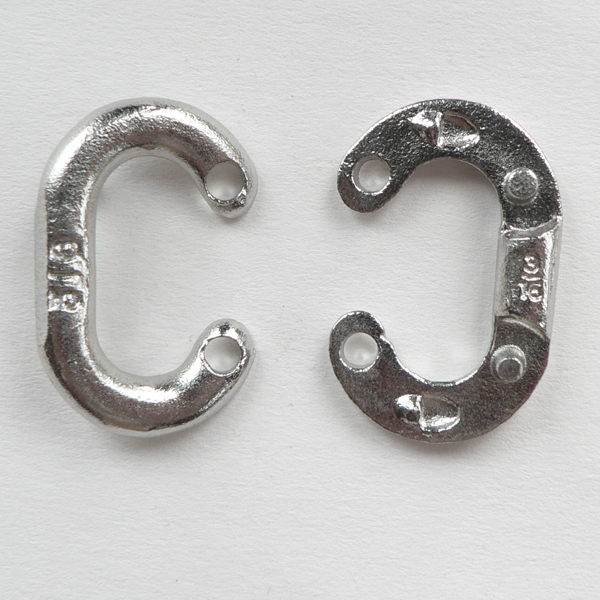 These cast Connecting Link s are one of strongest soluton. For another option with an emphasis on strength, see hammerlocks. Our more economical (and reasonably strong) solution see our cast Connecting Link s.
This part is forged from 316-NM Non-Magnetic Stainless Steel. 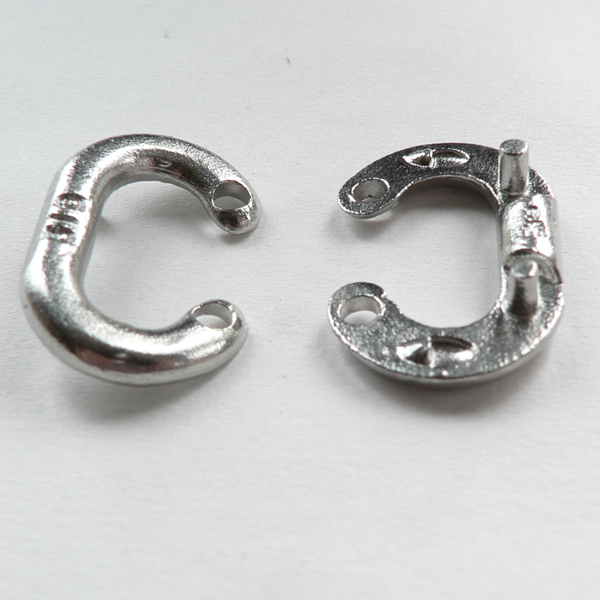 Size and wll are permanently forged into each part during production. WLL are 25% of breaking load.